Light & Darkness Radio: Featured Today! "Powerglove,Rawkfist..."
This are the Featured bands of the day! 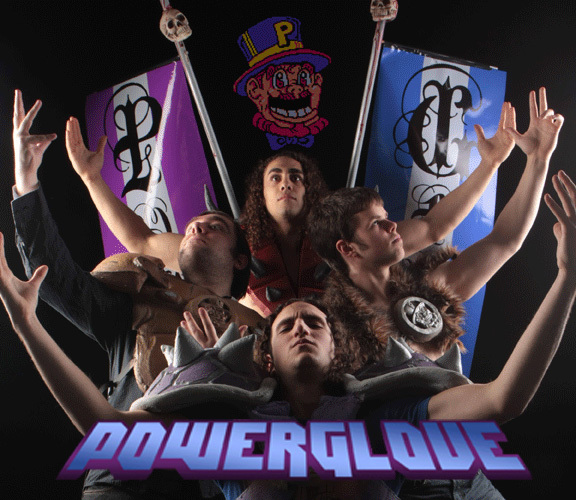 Powerglove (USA) - Powerglove is an American power metal band. They are known to play metal versions of classic video game themes. The band is named after the Power Glove, a NES controller accessory.The band records their music in various locations and mixes them in a home studio.The band recorded and released its debut EP, Total Pwnage, in 2005 (later re-released in 2008). Over the following two years, the band arranged and recorded what would become their debut, full-length album, Metal Kombat for the Mortal Man. The album met positive reviews. Throughout 2008, following the release of the band's album, Metal Kombat for the Mortal Man, the band had found its way into many publications, such as Game Informer, Metal Hammer, and Gamepro, including interviews with the band members and album reviews. In May 2008, the band embarked on their first U.S. tour with bands Psychostick and Look What I Did. It was during this tour that power metal guitarist Herman Li invited the band to open for his group, DragonForce, at the Roseland Theater in Portland, Oregon. After this performance, the band was invited to be a part of DragonForce's Ultra Beatdown U.S. and Canadian tour, which took place November–December 2008 along with the Finnish metal band Turisas. Since then, the band has begun writing their third album, stated by the band on their MySpace page It has been stated that they will most likely record their new album as they recorded Metal Kombat. At this point, the band had demos for three possible songs. In July 2009, guitarist Chris Marchiel stated in a blog on the band's official MySpace that the band is about to record two albums. The first, Saturday Morning Apocalypse, will be centered around TV, cartoon, and movie themes the band grew up with. Some songs mentioned were the Pokémon theme song, Danny Elfman's "This Is Halloween" from Tim Burton's The Nightmare Before Christmas, The Flintstones, and more. 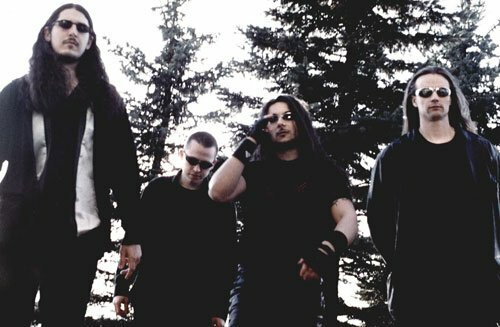 The second album, which Marchiel hopes will be released in late 2011, will return to the band's brand of video game metal. The only possibility mentioned for this album was Snake Man from Mega Man 3. The band announced in late July 2009 that they had begun recording. In 2010, Powerglove toured the U.S. and Canada with Swedish power metal act HammerFall and followed that tour immediately with another U.S./Canadian tour with Sonata Arctica and Mutiny Within. Powerglove signed to notable record company E1 Music in May 2010. The TV album, titled Saturday Morning Apocalypse, was released September 28, 2010, through E1 Music. At one point Powerglove was considering looking for a vocalist, but could never find the right fit for the music. Guitarist Chris Marchiel stated that if they had lyrics, they would be phenomenally stupid and they would be funny at first, but get old very fast. He stated that they take a lighthearted approach to their image and live show, but take their music very seriously, and there would be no way to write serious lyrics. On their latest studio album they collaborated with Sonata Arctica frontman Tony Kakko to record the theme song for the Pokémon anime series, which is their only song with complete lead vocals, and the Simpsons theme where he provides the eponymous title lyric and an ending choral section. Rawkfist (DE) - Guitarist Manu eventually suceeds in finding dedicated teammates for his band project, Rawkfist. Defying any musical pidgeonholing, the band starts working on fresh new material right away. Their intention is to rock with good songs and melodies. Soon it becomes apparent that they also share a love for classical/symponical elements which will turn out to be an increasingly important factor on their further musical journey. One may "blame" the former musical training of some of the band members. Only a couple of months later, the young band enters the local live music stages, quickly conquering the hearts of (supposedly) reserved Frankonian concert-goers. Instantly, the band proves to be capable of striking a chord with their audiences. In September 2007, the band's first, self-produced album, Stories , is released. Featuring 10 compact, varied songs, the CD soon becomes a little success and sells over 500 copies, without relying on a professional marketing network. The band gradually expands its live activities. In high spirits and reinforced by a new rhythm-section, Rawkfist begin to work on their second album. The band wants more and gets it. Producer Timon Seidl proves to be a congenial musical partner to pick up their musical visions and capabilities and display the young band's power in an authentic way. The highly emotional Gardens of Elysia is released in September 2009 and will soon be distributed by the well-known indie label Danse Macabre. The band plays well-received concerts and festivals in various parts of Germany, Austria and Switzerland and even gets the opportunity to perform at the renowned Wave Gotik Treffen (WGT)festival in Leipzig. In between more festival gigs during the summer of 2010, the band prepares for their third studio album, Chryseus (lat. golden). Shortly before Rawkfist enters the Stadtparkstudio again to begin the recording sessions, bass player Michael joins the band, completing the line-up again. Rawkfist continue challenging themselves, thus putting more energy than ever into the production process of Chryseus . The aim is to make the album an impressive experience for listeners and to redefine the band's musical standpoint in an authentic way. Down to the wire the album material is polished and a four-part choir is specifically put together for some of the songs. Once more, Timon Seidl proves his skills as a producer and is at hand with help and advice. In December 2010 the recordings are sent over to the acclaimed Gate Studio (Epica, After Forever, Rhapsody, …) in Wolfsburg for mixing and mastering. Chryseus , the band's third album, was released on March 4, 2011 through Black Bards Entertainment. In March Rawkfist will support the popular German medieval folk rock band Schandmaul on four dates of their Traumtänzer tour. Winds (NOR) - Winds is a Norwegian neo-classical/progressive metal band formed in 1998. The music is largely influenced by classical music, with Andy Winter's piano work and Carl August Tidemann's guitar solos, often the central focuses. The lyrics are written by Andy Winter, and deal mostly with astral and existentialist philosophy. Winds came into existence in 1998 when four Norwegian musicians from different backgrounds happened to cross musical paths. This was a result of previous work some of them had done with each other and through mutual acquaintances who lead them together. These individuals were already renowned within their specialties: Lars E. Si as a vocalist, Carl August Tidemann as a neo-classical guitar virtuoso, prolific black metal drummer Jan Axel von Blomberg and Andy Winter as a classically inspired pianist. AS the first recording Of Entity and Mind was completed in 2000, Avantgarde Music made an offer to sign Winds for two records. This deal was inked without even presenting the music to any other labels. 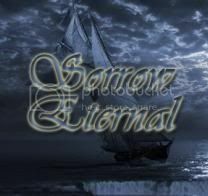 Of Entity and Mindwas well received for its combination of classical, progressive and metal music. As Of Entity and Mind continued receiving positive feedback, the band had not been idle and was already far into the process of composing the follow-up, to be entitled Reflections of the I. After this record was completed, The End Records, who inquired about licensing the album for release in America, contacted the band. Avantgarde Music was consulted and accepted the offer. Reflections of the I was released in 2002 and hosted great reviews and critical acclaim, receiving top scores in virtually every significant publication related to their style of music. The band had almost completed ideas for all the tracks to a third album even before the previous was released. Having fulfilled their contract with Avantgarde Music, Winds was now free to accept offers from other labels. Once again, The End Records was quick to put an offer on the table, this time to take on the band worldwide. The band accepted the offer without hesitation, and although other labels had showed interest, the band signed to The End Records for three more albums. So the time came to start recording the third album. The drums were recorded first, along with some basic guitar and piano ideas that were to be re-recorded later. Recording of the album was put on hold due to obligations to other bands on projects, once all members were free, recording was resumed. After six months of being in and out of the studios (Toproom and Fagerborg in Norway, and The Factory in Vancouver for mixing) the album was finally completed. The third Winds effort is entitled The Imaginary Direction of Time. Following in the vein of the previous albums with philosophically charged lyrics, the band's website describes it as "the most accomplished record they have ever worked on, featuring the best individual performances they have ever done but also their best collective effort through carefully designed arrangements and a world class production that can compete with any other top release in the world today." Acid Rain (ARG) - In the beginning of the year 2002, bass player Ezequiel Giménez contacted guitar player Ariel Mascia through an internet advert with the idea of making up a Progressive Rock band. They got together and started composing music for the future “One Night Of Reflections”. In the year 2003 Martín Magliano (drummer) and Andrés Blanco (keyboard player) joined the project and decided to name it AcidRain. With Andrés Blanco’s contribution, they finished composing “One Night Of Reflections” and “Shadows”, which were recorded in the first demo of the band with Fabián Gonzalez’s voice. Featured Today! "Charon, Type O Negative..."
Featured Today! "Porcupine Tree,Leaves' Eyes..."
Featured Today! "Omnium Gatherum, Sequester..."
Featured Today! "Seraphim,Tears of Martyr..."
Featured Today! "Uriah Heep, Suspyre..."
Featured Today! "Scar Symmetry,Age Of Silence..."
Featured Today! "Auvernia, Clay Withrow... "
Featured Today! "Stargazery, Like Tomorrow..."
Featured Today "Nail, Zero Gravity..."
Featured Today! "Skylark,Ab Aeterno ..."
Featured Today! "Dark Lunacy, Fortaleza..."